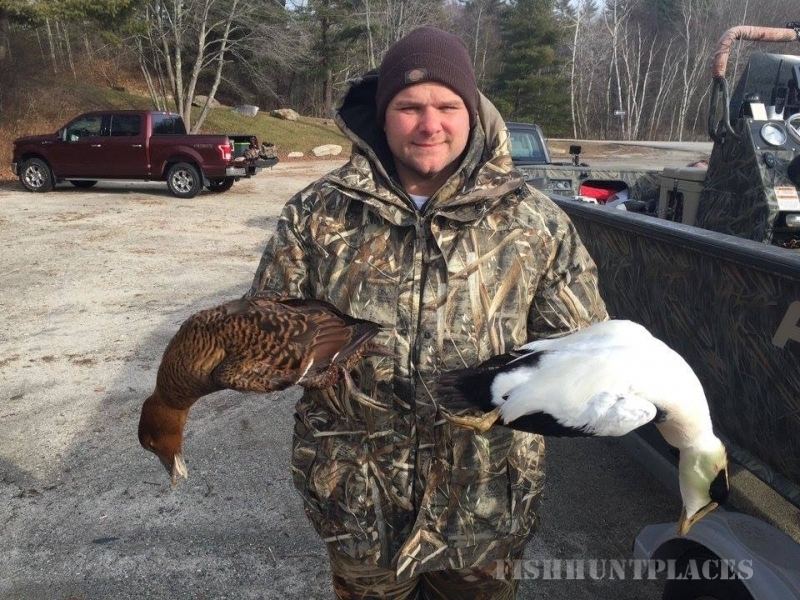 Thornehead Guide Service offers professionally guided sea duck huntingexcursions for trophy Eiders, Long-tails (Old Squaws), and Scoters along the scenic coast of Maine. 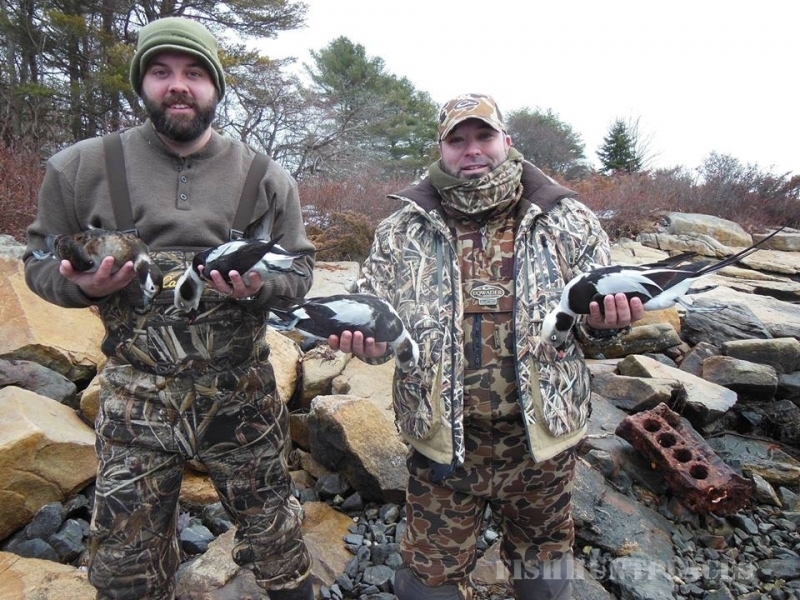 Our abundant population of migratory and resident Maine sea ducks provides hunters with a world class waterfowl hunting experience in the forbidding environment of the North Atlantic. Thornehead Guide Service is a "Professional Waterfowl Hunting Outfitter". 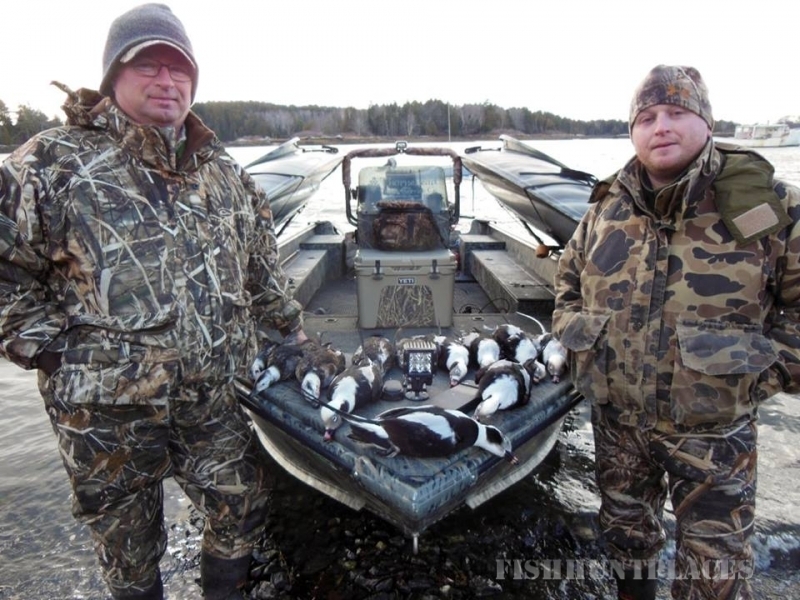 Our Registered Maine Sea Duck Hunting Guides utilize the finest handmade E. Allen and Toledo waterfowl decoys while hunting from off-shore ledges,Bankes Layout Boats, and our 21 foot custom Polar Kraft Duck Boat to create exciting, fast-paced, waterfowling adventures. All our equipment is modern, top of the line, and meticulously maintained for your safety and enjoyment. Our company prides itself on outstanding customer service. 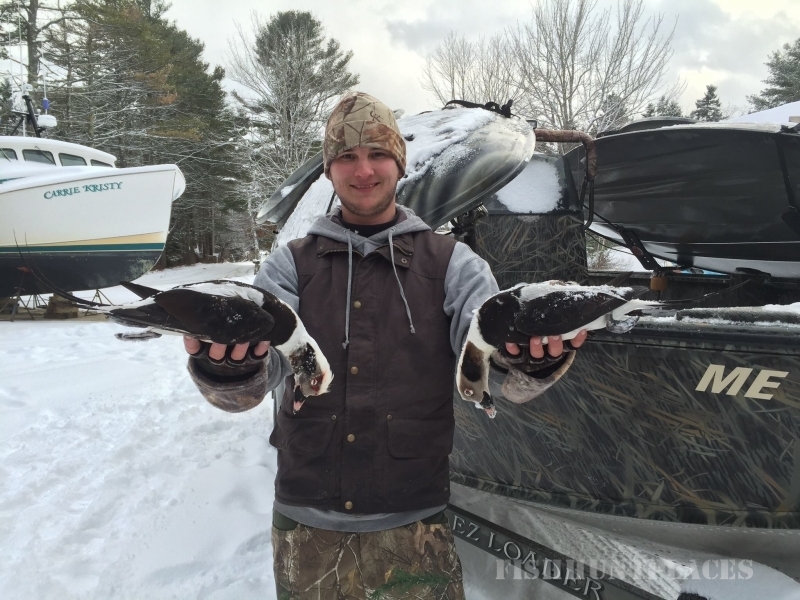 We will work with you to create a Maine sea duck hunting trip that fits your style of waterfowl hunting. 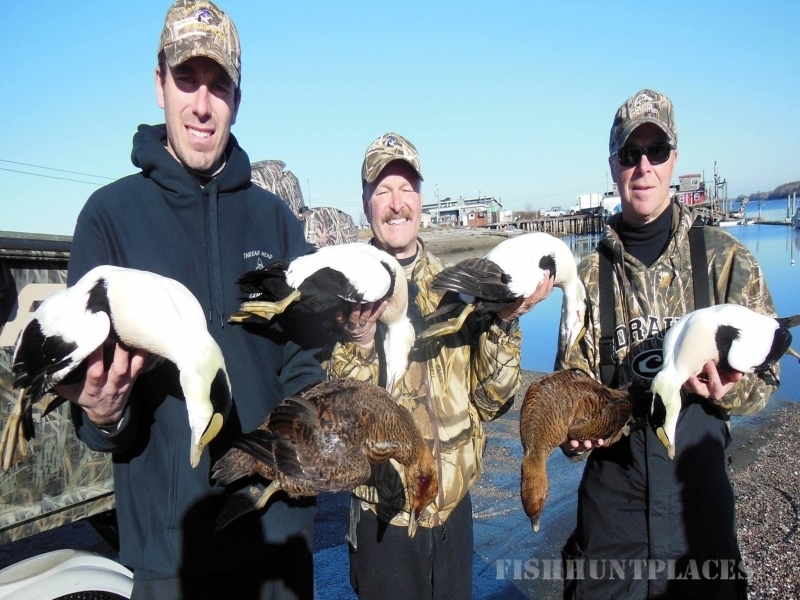 Whether its gunning trophy Long-tails from our Bankes Layout Boats or shooting hardy Maine Eiders from offshore ledges,Thornehead Guide Service strives to provide you with sea duck hunting memories that will last a lifetime. 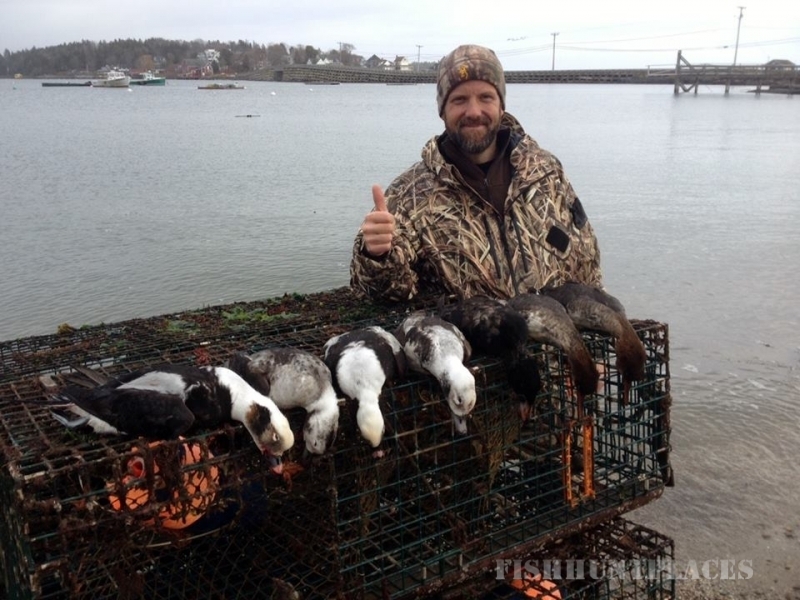 Black Ducks, Mallards, Goldeneye, and Buffleheads abound on the coast of Maine. 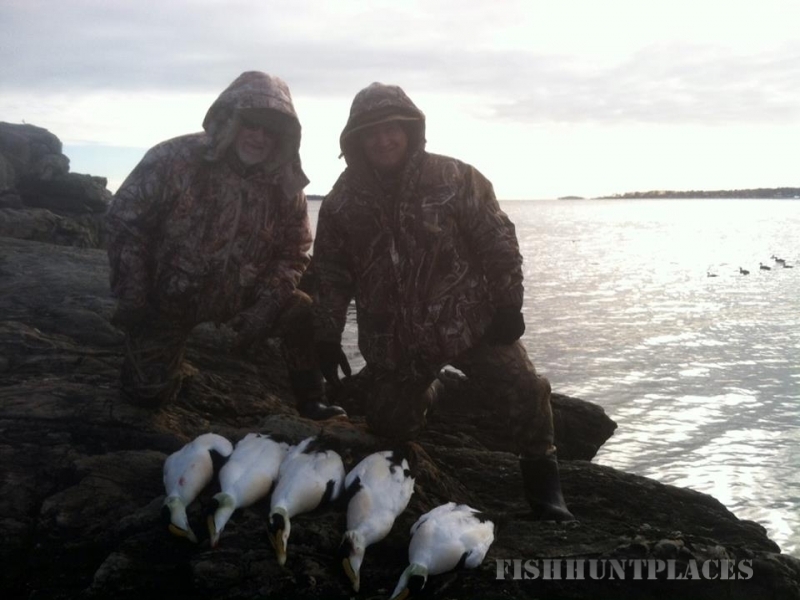 You may include a day of puddle or diver duck hunting to your multi-day sea duck hunt if you choose. Come hunt with us and experience everything Maine has to offer.Thornehead Guide Service has partnered with the Hilton Garden Inn in Freeport to provide you with attractive hunting package plans. Freeport Maine is a convenient, 20 minute drive from the Portland International Jetport (PWM). No need to travel to the remote regions of Maine to bag your trophy sea ducks - we have it all right here in Freeport! Freeport is a vibrant coastal community located on Casco Bay, and the home of L.L.Bean. You may purchase ammunition, Maine hunting licenses, and other necessities for your adventure at our nearby Cabelas Retail Store, 24/7 at the L.L. Bean Hunt/Fish Retail Store, or other local shops located within walking distance of your accommodations. You may opt to spend your time off the water relaxing, sightseeing along the scenic Maine Coast, or dining at one of our many wonderful local restaurants. Fresh Maine Lobster is always on the menu when hunting with us!